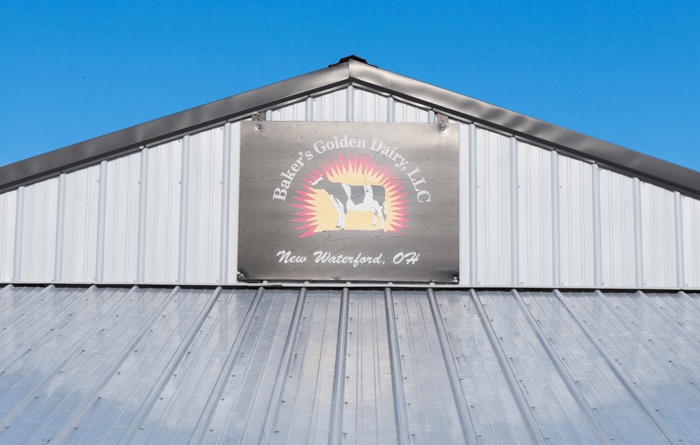 In 1999, Kevin and Deb Baker started Baker’s Golden Dairy situated in the rolling hills of New Waterford, Ohio. 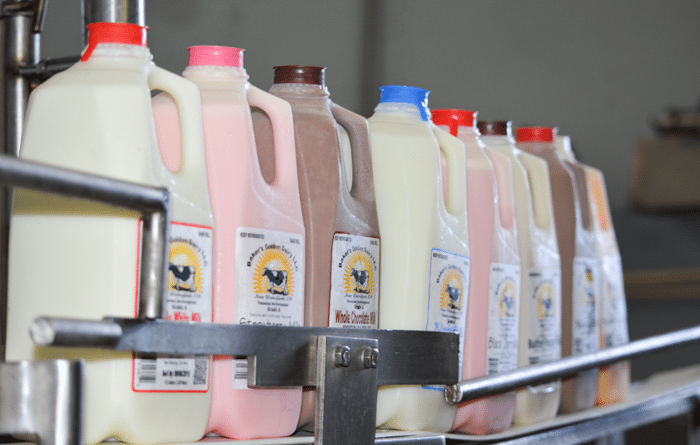 Today they milk over 100 head bottling several gallons of milk a day. 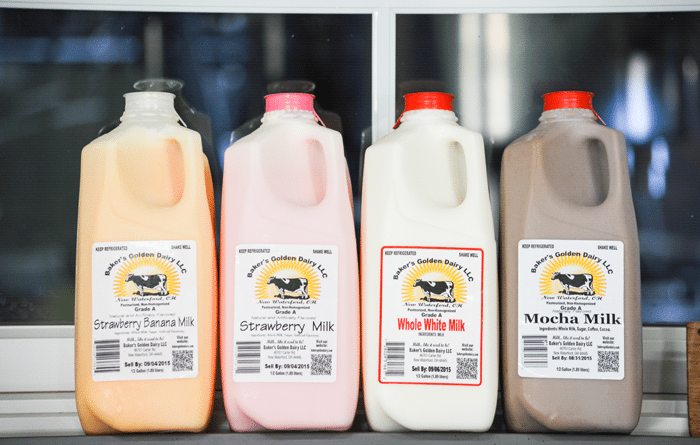 They bottle the milk in a variety of over 20 different flavors including favorites like Root Beer and Cotton Candy. 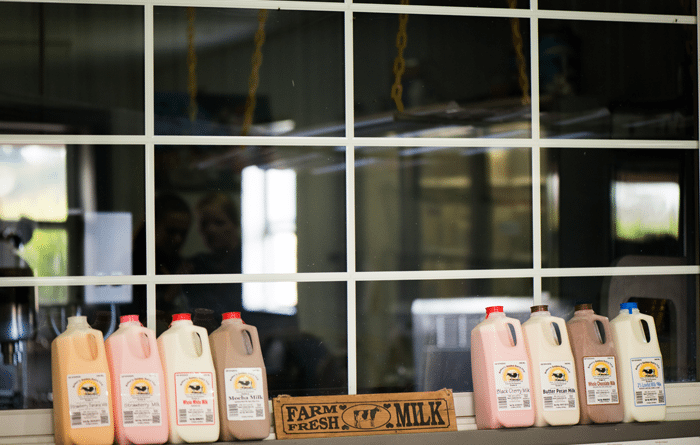 After the milk is bottled, the Baker’s sell it in their market (sometimes on the honor system if no one is around). 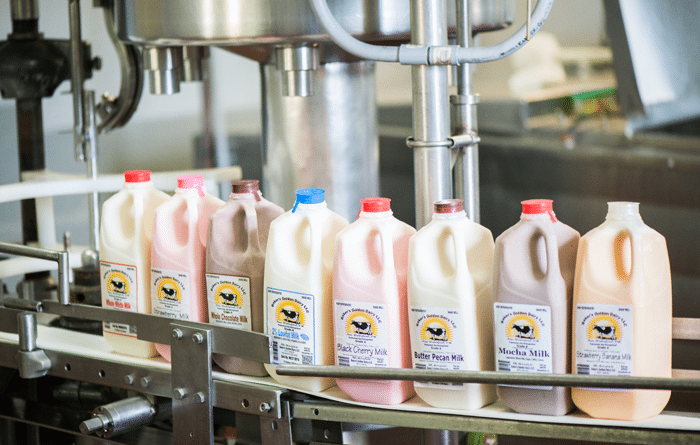 They also distribute their milk to over 30 local markets and stores. 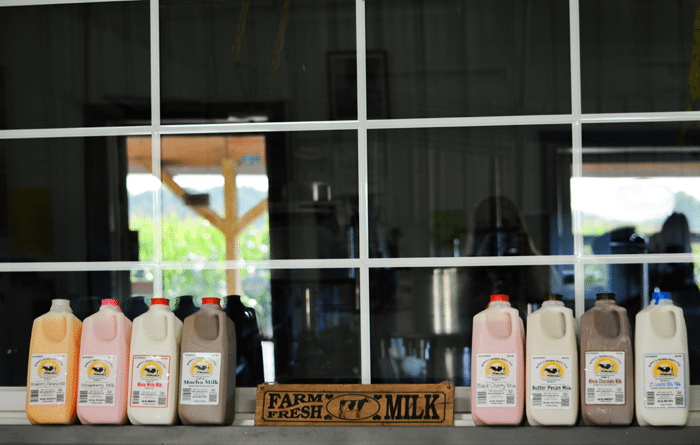 The Baker’s produce award winning crops on their 580 acre farm including corn, beans, hay, wheat and oats. 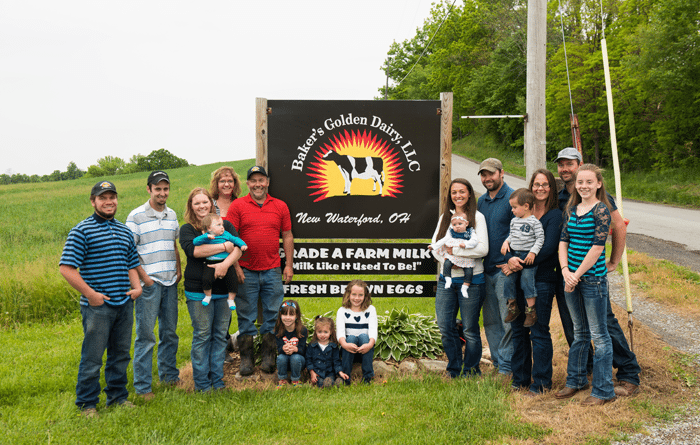 The Baker family is rich in their community. 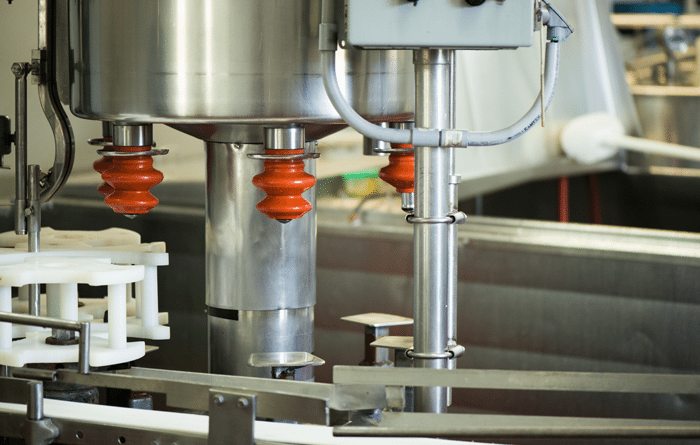 They love making ice cream for their church or other activities in the area. 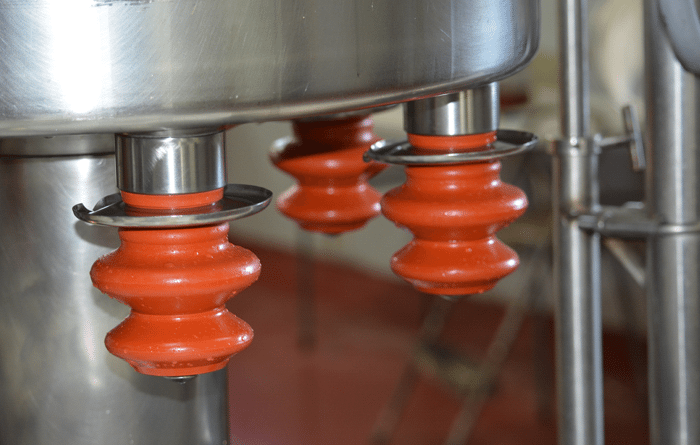 They are famous for their ice cream and plan to add that to the operation soon. They will also be hosting a Farm Bureau “Breakfast on the Farm” for Columbiana County in June. 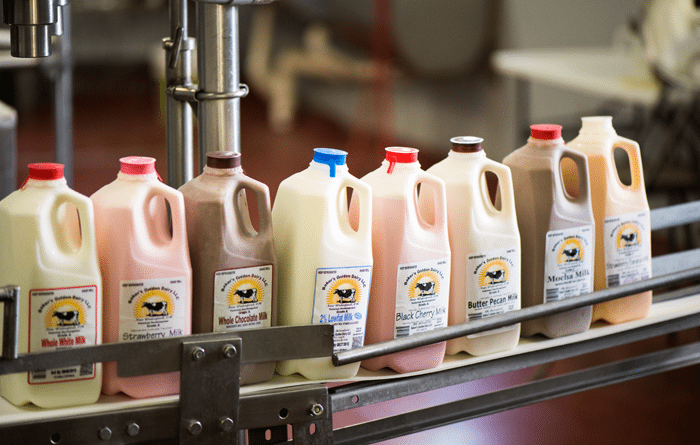 We Salute Baker’s Golden Dairy!